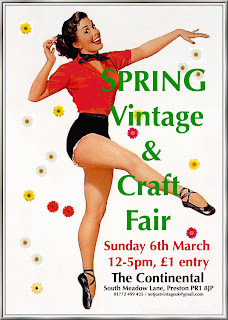 Yesterday I went to the 'Spring Vintage & Craft Fair'. 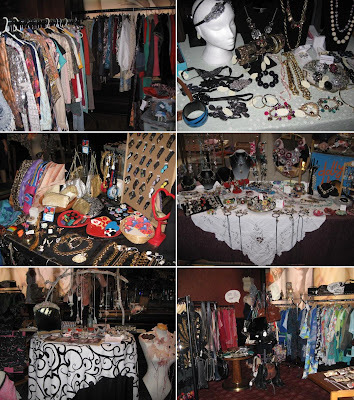 This was my first ever vintage fair I went to and really enjoyed it as I found some beautiful things. So many little stalls with loads of goodies and beautiful vintage pieces. Unfortunately I didn't take a camera to take some pictures, even though I had my blackberry it wasn't the best camera to use. I've gathered some pictures from previous events! Wonderland Vintage Boutique, Two for Joy Vintage, Woodchip Boutique, Girl in the Tower, Love the cupcake, Bar Soap ...and many more! OH WOW! Looks like an amazing time - I'd LOVE to go to a vintage fair... I'd want to buy everything there! LOVELY STUFF, I CAN'T WAIT TO GO TO MY FIRST VINTAGE FAIR! how cool:) that bag is so pretty..
Wow you got so much!! Really like the first bag...it's very Chanel! I made a new fashion blog, check it out! Sounds amazing! Would love to go there! :D.
Oh gosh! You bought such pretty things!! whoa what great finds. i looove the bag/satchel? it's soo pretty. and the earrings too! woah you got some awesome buys!